This single row Cajun style button box in the key of ‘C’ is made by the respected Italian manufacturer Excelsior. 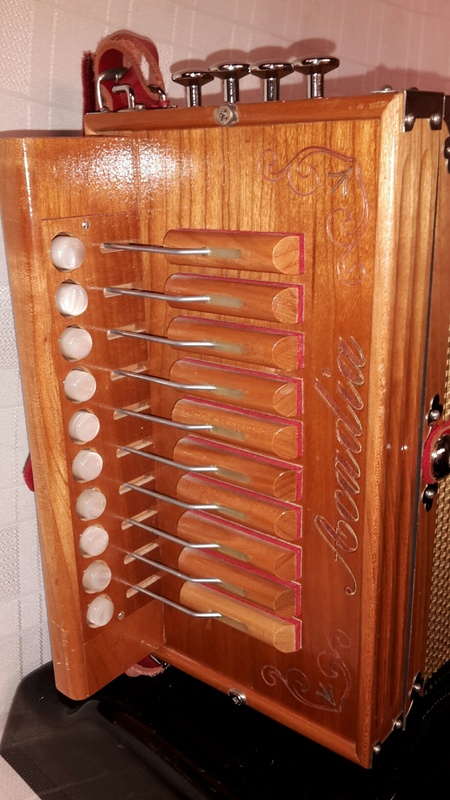 It has 4 sets of reeds (LMMH) with 4 stops to silence each reed set separately. Weight 2.9KG Dimensions 280 x 160 x 280 mm. 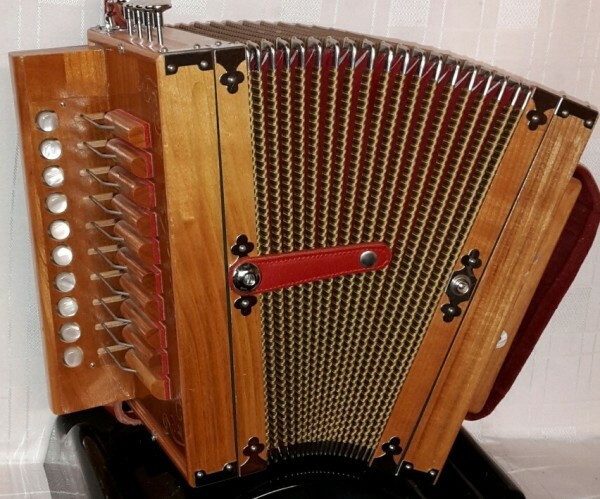 This instrument is in exceptional condition throughout. Fitted with good quality red padded leather shoulder straps, wrist strap & bellows straps & chrome fittings. Supplied with a plush lined carrying case. To buy or get more info on this Excelsior Acadia Cajun button box please call our Rochdale shop on 01706 658283. A 0% interest free loan is available subject to status on this Excelsior Acadia Cajun button box via the Arts Council. Terms and conditions apply – please contact us for full details. 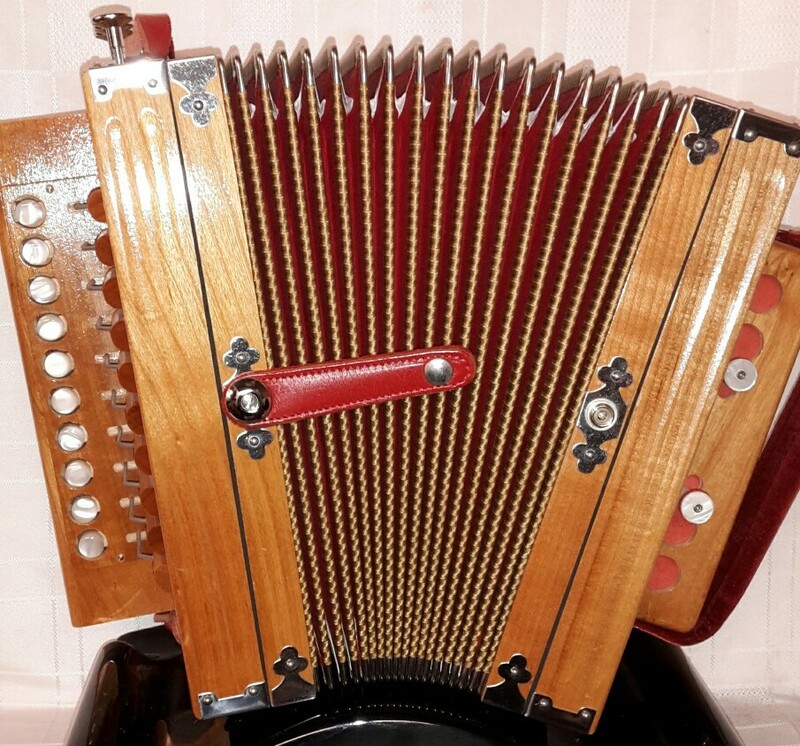 This Excelsior Acadia Cajun button box comes complete with your choice of either a soft gig bag or a hard case, padded shoulder straps and a 1 year component parts guarantee all included in the price. Don’t forget, free delivery of this excellent value for money Excelsior Acadia Cajun button box to most parts of mainland UK is included in the price! Weight: 2.72 Kg. - 6.38 Lbs.